For the last couple of years I've shared my favourite outfit of each month in a kind of end-of-year review. 2015 brought some very big changes for me with my move to the South of England and the start of my PhD course. This year again I will try to keep my post short and sweet but you can click through to see each post individually. You can also see my roundup of 2013 here and 2014 here. So, that's all folks! I hope you all had a wonderful 2015 and cheers to 2016! 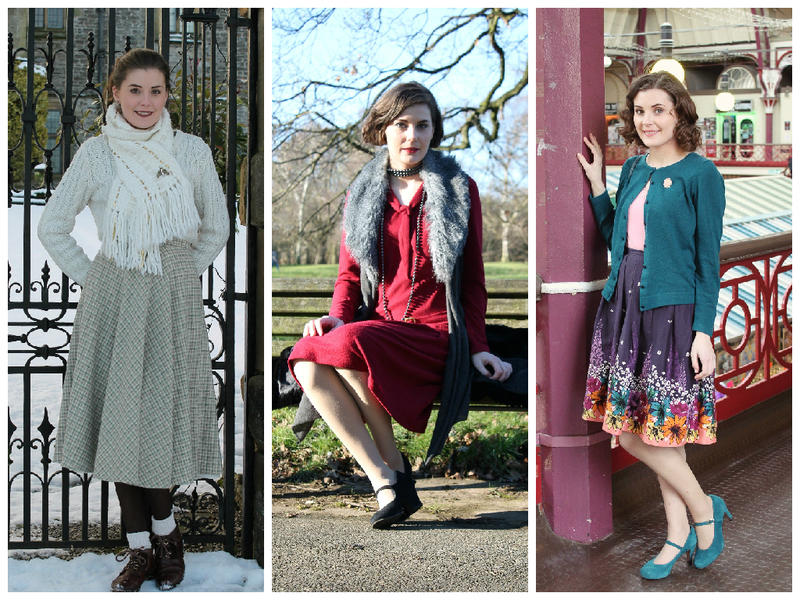 Let me know in the comments which outfit is your favourite and don't forget to let me know which was your favourite of your own outfits for the year. If you have your own blog, leave me a link to the post. Ooohhh, such a hard call! Your style is so sweet, classic, fun and creative. It's not easy to narrow down a single favourite here, when I'm so drawn to such types of styles myself. That said, I do really love September's gorgeous floral print frock, as well as May's skirt and December's sweater/jumper. Happy New Year's wishes, lovely lady! I can't pick all of them? I really like your dress in October!! 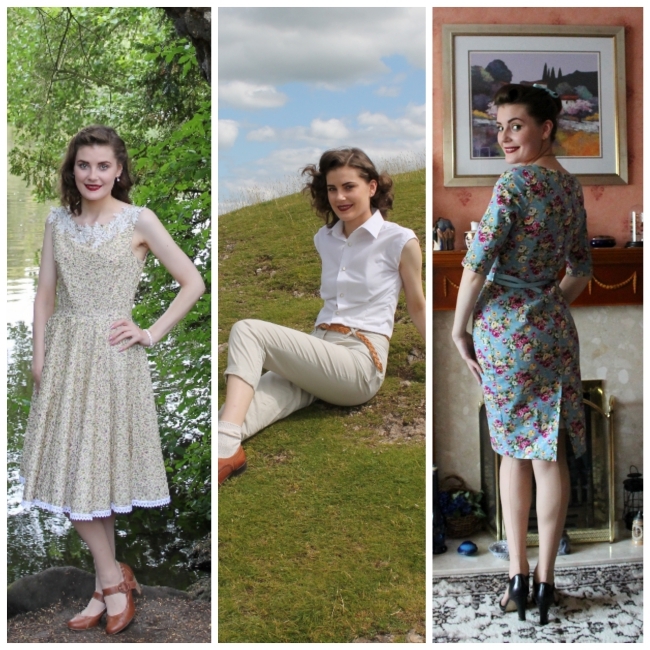 But all of them are lovely, you're so amazing with your garment styling, Helen! 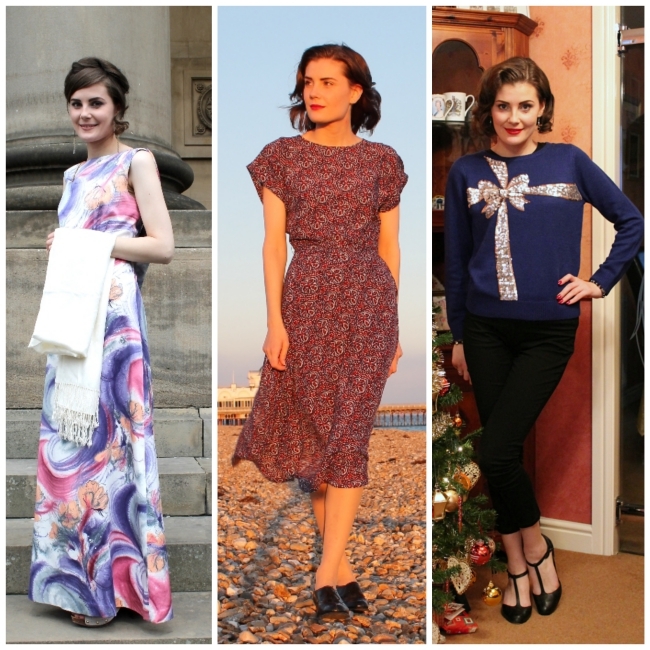 I need to better document all the pretty things I wear, so I can do a round up at years end! They are all nice, but my favorite is the one you have used for the blog icon, the middle bottom. It just looks so pretty and yet comfortable!